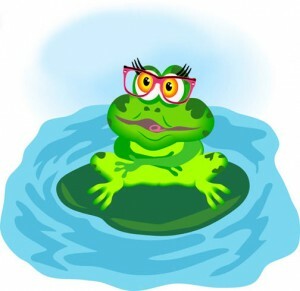 While from lily pad to lily pad she leaped! And wore spectacles on her face. For Matilda the frog I fear. Just as handsome as you please. While he hummed his bullfrog song. And he loved to laugh and have fun! But the two of them fell right in! The love of her life couldn’t see. And the frog that couldn’t see!